image for both our customers and our drivers. Attention Drivers We Have Direct Deposit, So You Don't Have To Wait Until You Get Home To Cash Your Check ! DMT Services, Incorporated offers drivers the most comprehensive Health and Benefits Package available in transportation today. To remain competitive for an ever increasingly tight pool of qualified drivers, we realize we must provide a package geared toward recruiting and retaining today's professional. If you meet the criteria listed below please fill out our Online Application or Email us today for additional information. DMT Services, Inc. is a regular and irregular route, non-hazmat, contract carrier. Our primary area of operation is the Midwest, & Southeast portions of the country. Currently, we average 85% drop and hook situations at both shippers and receivers, and haul only dry van freight, minimizing the amount of time our drivers spend loading and unloading. Our freight is 98% no touch. Our drivers also enjoy attainable safety bonuses. Our Pay Scale is also among the most competitive in the industry. One of the most attractive features continues to be our ability to get our drivers home so they may take the time to do the things that are important to them. Home time is always a priority. 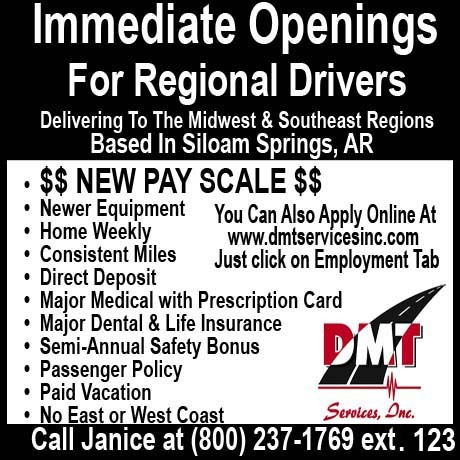 All DMT Services, Inc. drivers are home during Thanksgiving and Christmas. If you are looking for a carrier to establish a career with, please review the information below, and contact us today to begin your career with a driver/family oriented company. 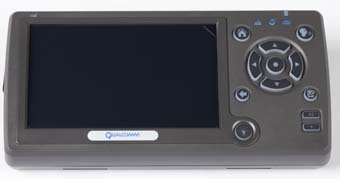 Every DMT Services, Inc. power unit is equipped with the Omnitracs (Formerly Qualcomm) MCP-110 Satellite Communications System. 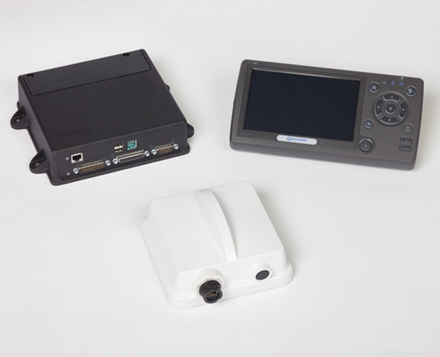 Customers enjoy the peace of mind this system brings with it. Our drivers love the convenience! 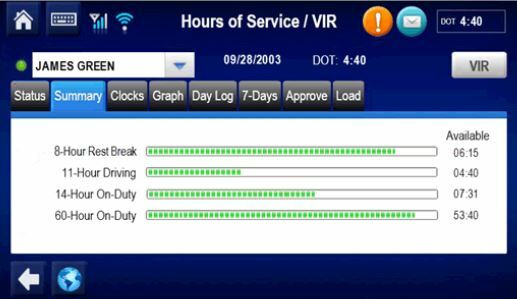 We also use Omnitracs Hours Of Service (Electronic Logs) application which takes the guess work out of all the rules & regulations set forth by the FMCSA. To make it convienent for drivers they can scan their bills right inside the truck with no need to make an additional stop at a truck stop or wherever to do so. 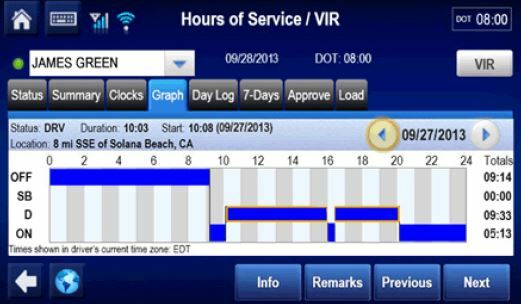 This saves time for the driver and can scan & go within matter of a few minutes. Must have valid operators (CDL Class A) license in state of residence. No serious traffic violations in last 3 years. No current license suspension/revocation. A work permit is not acceptable. No more than 5 moving violations in the last 3 years, nor more than 3 moving violations in the last 12 months. No preventable accidents involving bodily injury, or damage to property in excess of $4,400.00 in the last 3 years. Must have 2 years recent experience in the operation of Tractor/Trailer equipment or 100,000 miles. These are only guidelines for D.M.T. Services, Inc.